A healthy spine means a healthy nervous system. 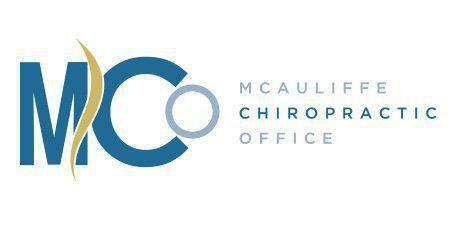 Here are McAuliffe Chiropractic, we can help treat a variety of neurological conditions with safe, non-invasive chiropractic adjustments. With his additional certifications in Clinical Neurology, Dr. McAuliffe is able to help patients overcome a number of neurological conditions right in his Laurel, MD office. What Neurological Conditions Can a Chiropractor Help With? Chiropractic care can help treat a variety of everyday neurological conditions, ranging from Multiple Sclerosis and Parkinson’s Disease, to concussion and brain injuries and conditions you may not even know you have. The nervous system is the epicenter of your body, controlling every function in the healing process. Changes within the nervous system can cause a variety of issues ranging from headaches and vertigo, neck pain and back pain. Here at McAuliffe Chiropractic, our goal is to help make sure your nervous system is a healthy as possible, so your body can function in the way it was intended to, no matter what neurological concerns you may have. With Dr. McAuliffe’s addition certifications and training, we take a functional neurology approach to help you safely and naturally restore your health. How Do Chiropractic Adjustments Work For Patients With Neurological Conditions? There are three parts of the Central Nervous System (CNS): the brain, the spine and the spinal nerves. Your spinal nerves are responsible for sending messages between your brain and your body. Your spine is in charge of protecting these nerves. When the bones in your spine shift from their normal position, causing a subluxation, they can put a great deal of pressure on these delicate tissues. This impacts the nerves’ ability to deliver these important messages between your brain and your body. It places pressure on the nerves so these nerves can’t deliver their messages freely. When this relationship breaks down it can impact every system in the body. An adjustment will relieve that pressure and allow your entire nervous system to function as it was intended to. No matter what neurological condition you may have, regular chiropractic adjustments can help alleviate these subluxations so your nervous system and your body can start to heal on its own. How Long is the Course of Treatment for Neurological Conditions? This will vary with each patient as every person and every case is unique. When you visit McAuliffe Chiropractic, we will do a full examination and assessment as we discuss your unique health goals. From there, we will outline a treatment plan that will help get you on your way to a healthier you.